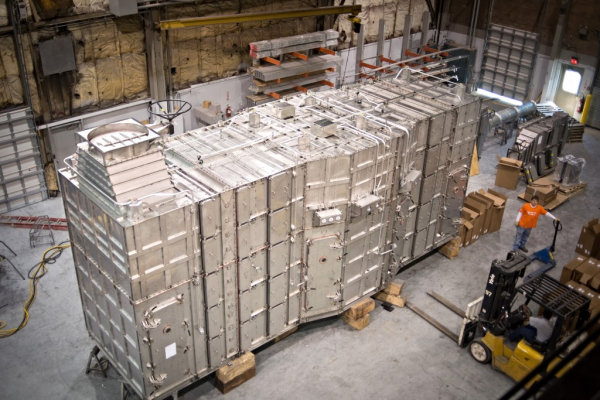 P&G Manufacturing specializes in both standard and custom filtration housings. Our engineers work with the customer to develop a custom design that satisfies the requirements for the facilities filtration. This project was for a nuclear facility in Europe that required two of the large system shown above. The housing consisted of walk-in plenums with catwalks and submersible submarine doors. 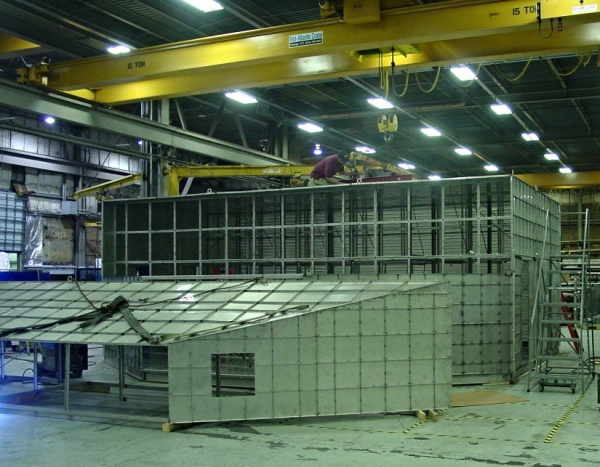 This project was for a nitrogen extraction plant in Louisiana that required custom louvered inlet, three walk-in plenum filter sections and outlet pressure relief doors. This housing was a massive structure consisting of 9 sections to be welded on-site and when it was fully assembled the structure stood at 10 ft high x 29 ft wide x 27 ft long.